Next PostBandsintown adds Snap Kit integration for personalized concert stories. Prev Post Your Personalized Coachella Festival Guide Is Here. Today we’re thrilled to announce the native integration of Apple Music within the Bandsintown Concerts App. This integration will now help Apple Music subscribers discover more artists by seamlessly listening to an artist’s catalog and simultaneously browse events, without ever having to switch between apps. We know Bandsintown users are always on the lookout for their next favorite artist to see live, and with this native MusicKit integration, this enhanced discovery experience is better than ever before with background listening. 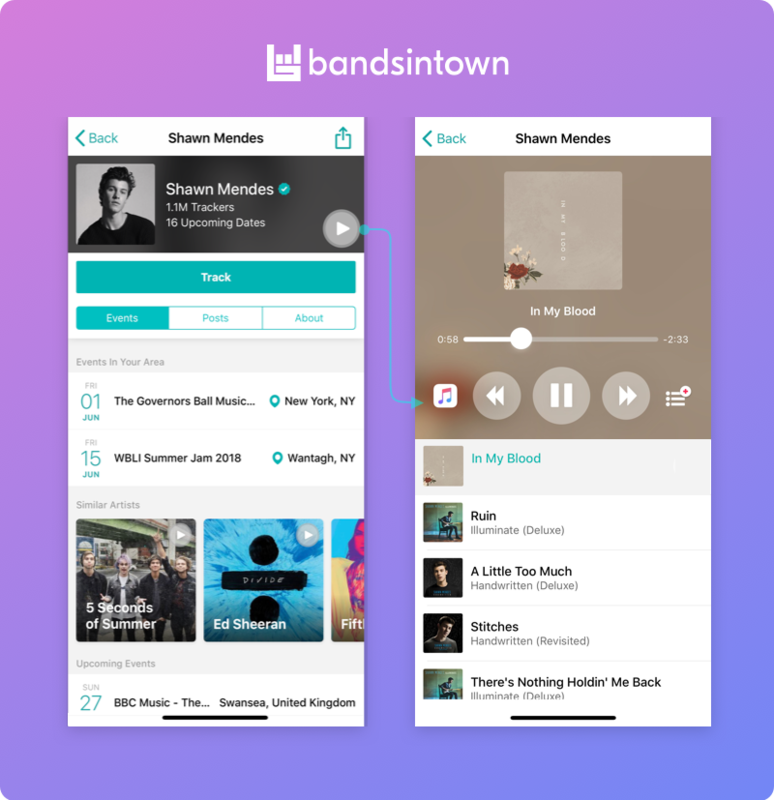 Download and connect the Bandsintown Concerts App to your Apple Music account to start discovering new artists and even more live music!